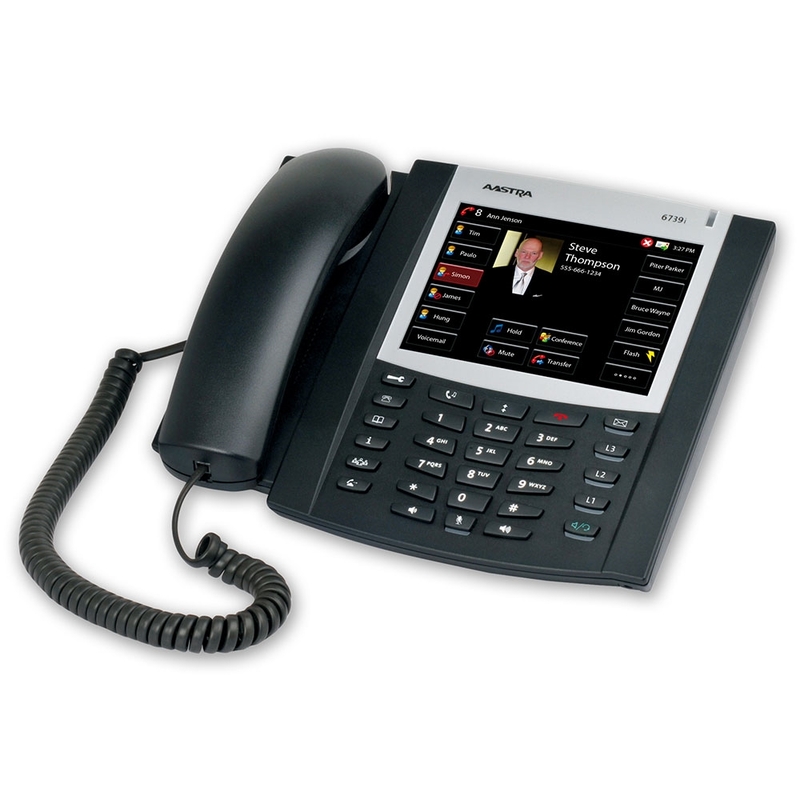 This model of the Mitel 6739 has been professionally refurbished through a rigorous process. The phone comes with a one-year third party warranty. Every component has been inspected and tested for proper operation and has been completely disinfected. Firmware and software has been updated to the latest release. Every phone has been neatly packed. It comes with a quality control assurance sticker. Mitel 6739 is an executive-level 9-line IP phone with Gigabit Ethernet and Bluetooth. 6739 delivers exceptional value for a professional VoIP phone. With 6739, you get enterprise-class features like Mitel Hi-Q audio technology for wideband audio using the hearing aid compatible handset or the full-duplex speakerphone with echo cancellation. Connect a headset using the dedicated EHS port or using Bluetooth. Mitel 6739 5.7" touchscreen display makes operation as easy as using a smartphone. The dual Gigabit Ethernet ports provide future-proof speed. From having up to 55 programmable softkeys for deep customization to built-in local 3-way local conferencing, Mitel 6739, formerly Aastra 6739i, is a professional VoIP phone that graces any executive's desk.